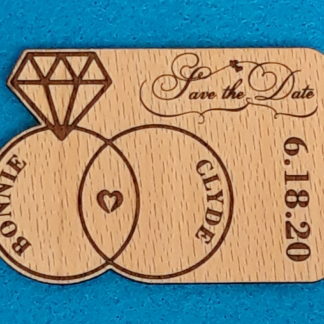 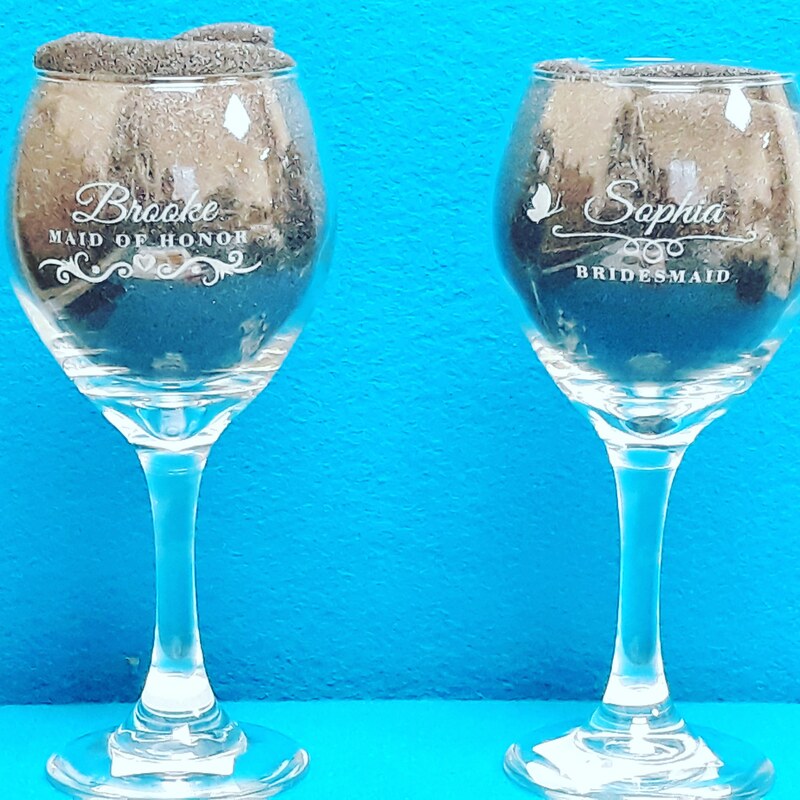 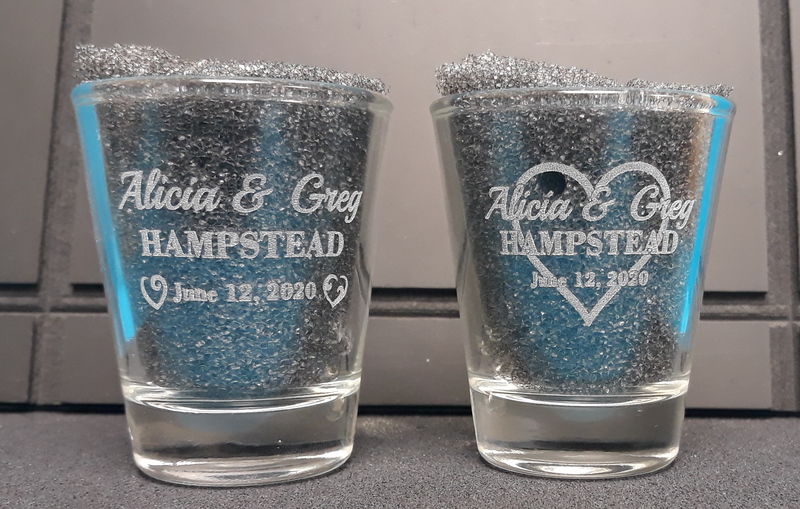 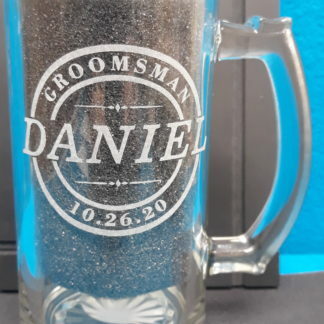 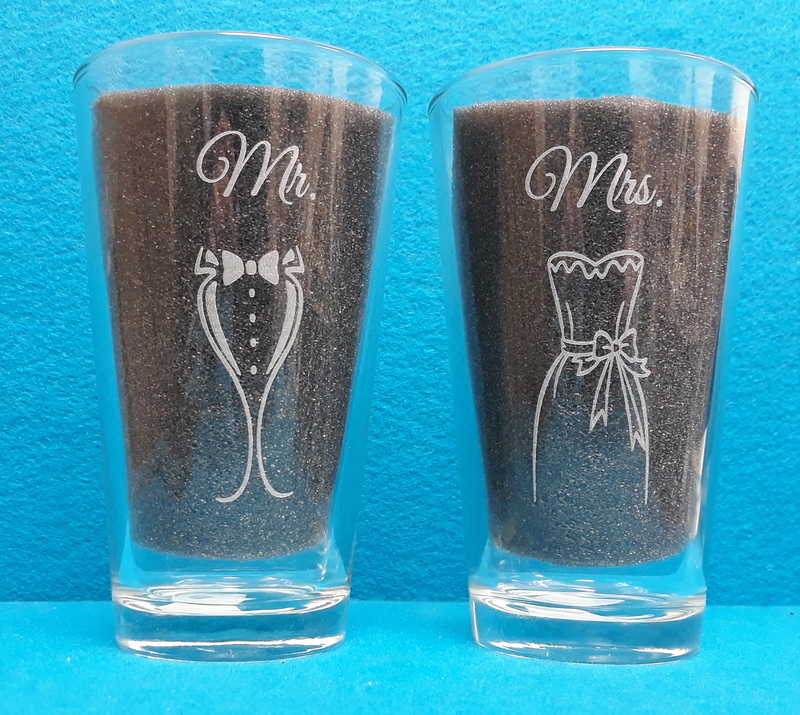 Custom lasered glasses add a touch of class to any gathering, but especially your wedding. 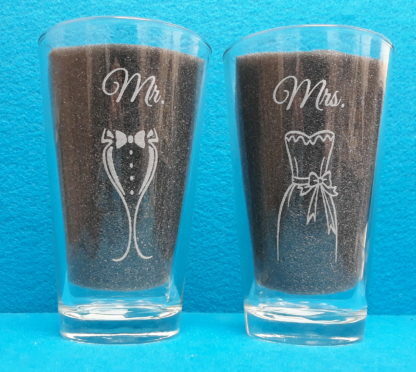 The Wedding Party will enjoy their own glassware. 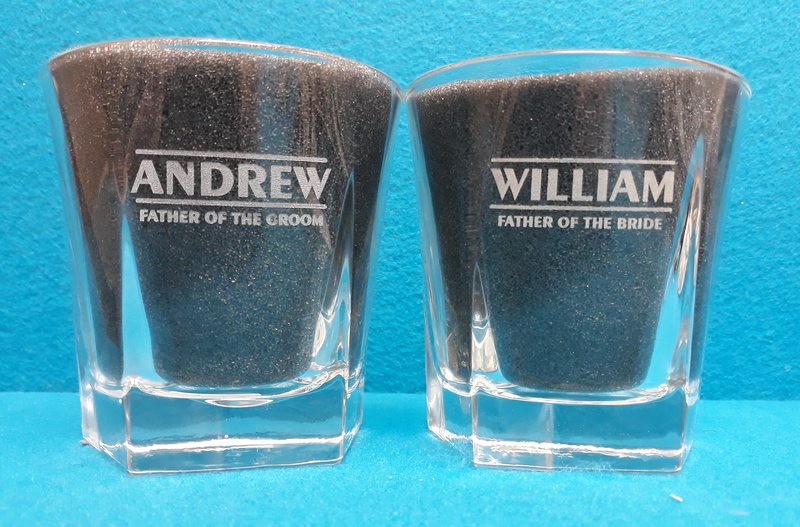 My cousin’s wedding featured a shot glass for every guest! 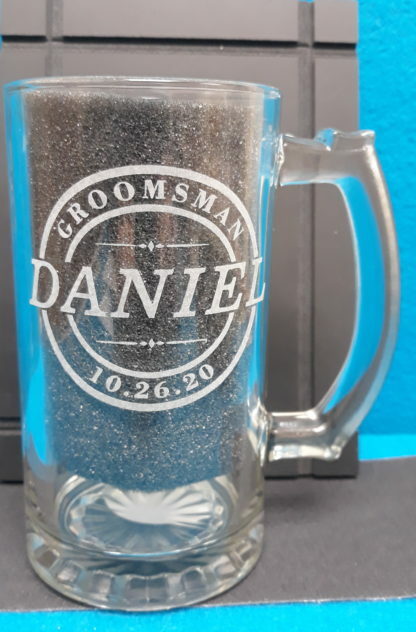 Prices vary based on quantity and customizing.